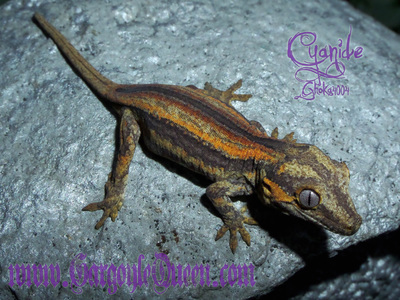 Gecko coloration as a hatchling is drastically different than what it is as an adult. 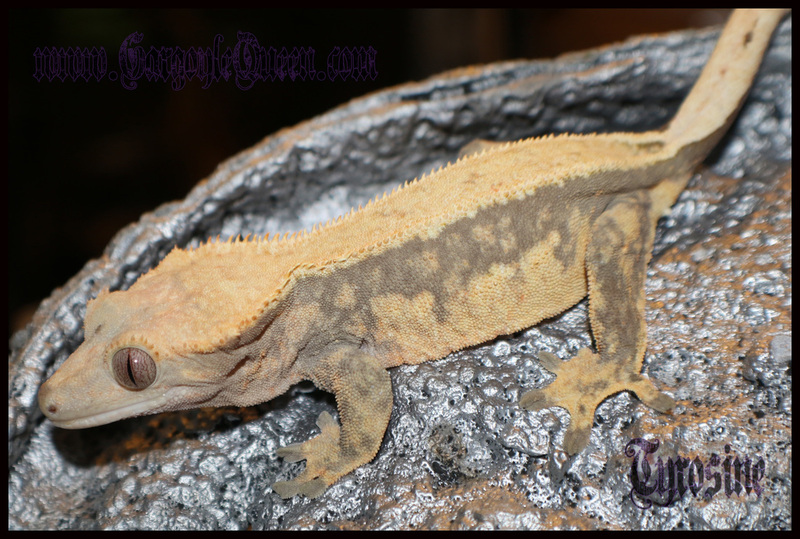 You may be able to see patterning, and general features to get a basic idea of what might happen as the gecko grows, but not always. 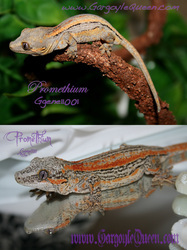 I will be composing a few color progressions of my babies as they grow. The oldest babies I have of mine hatched out in 2011. I have been seeing huge changes so far, so decided I would dedicate a page to it here for you to get a better understanding of what to expect. Every gecko develops different, but hopefully this will give you an idea. 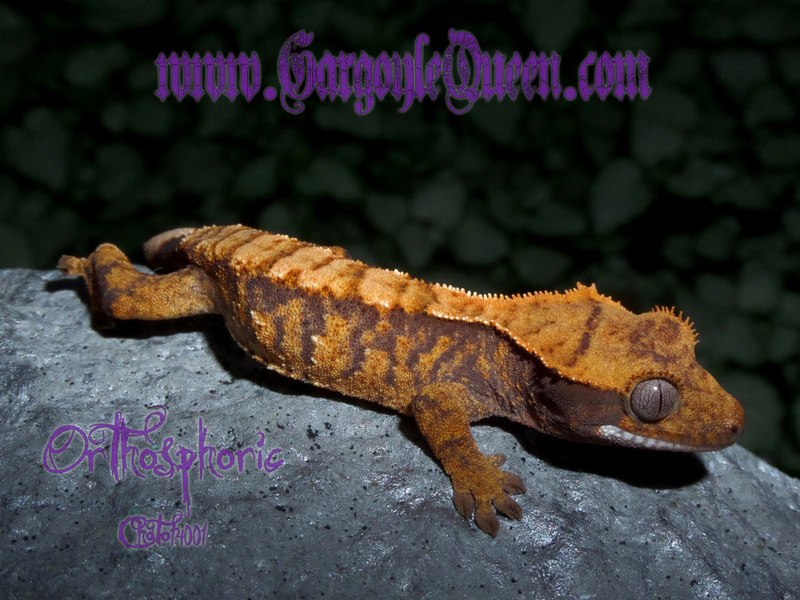 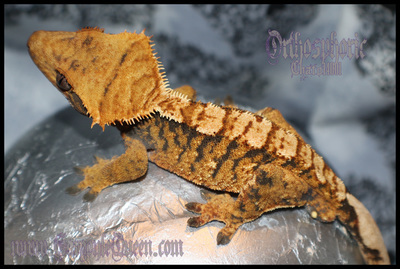 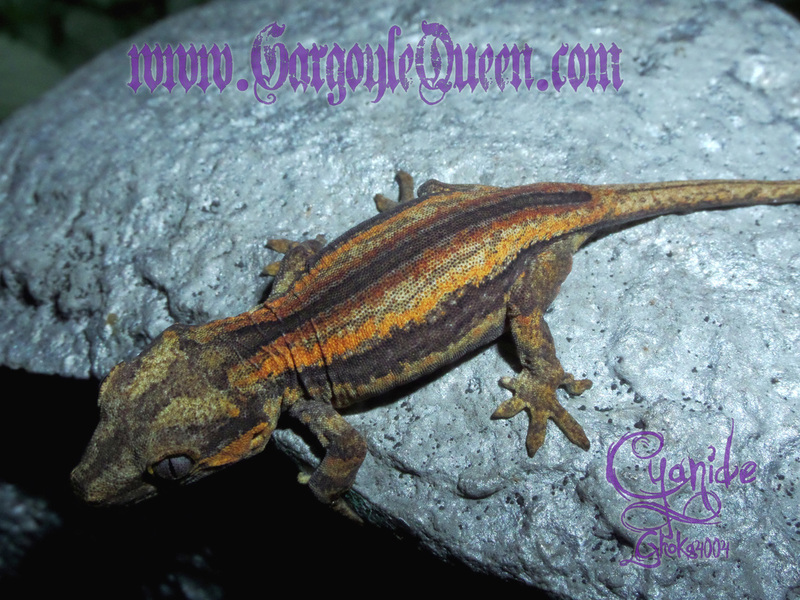 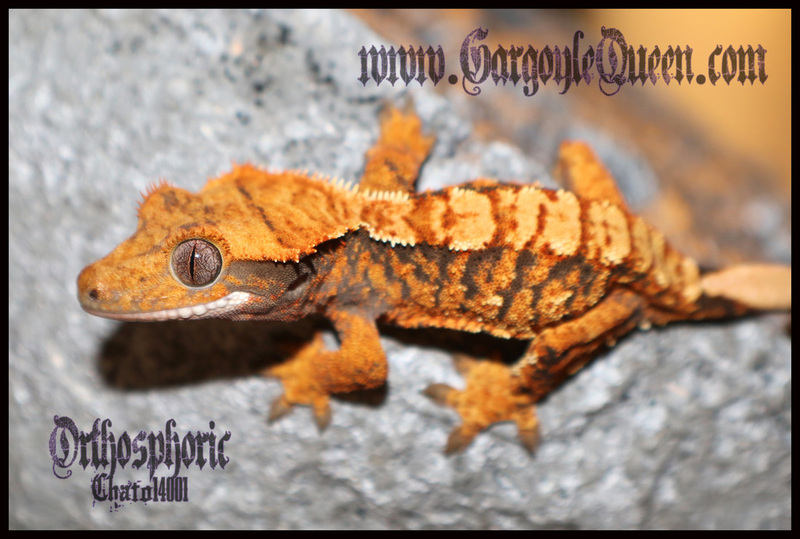 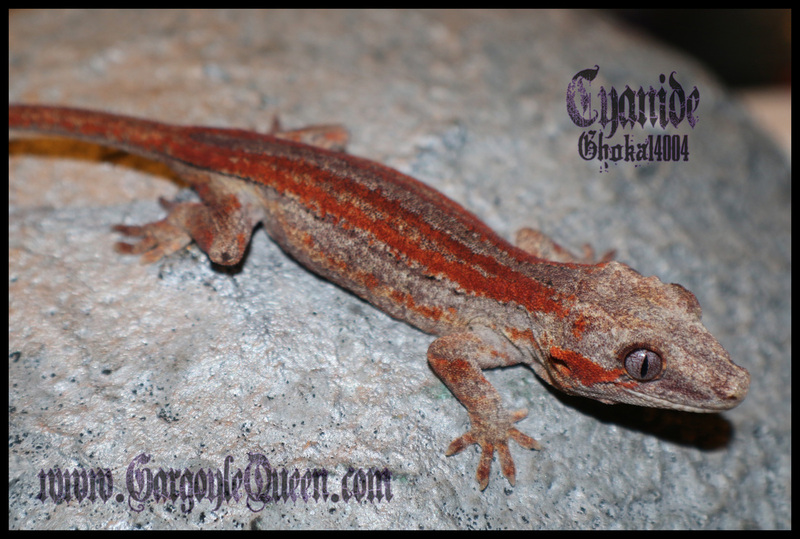 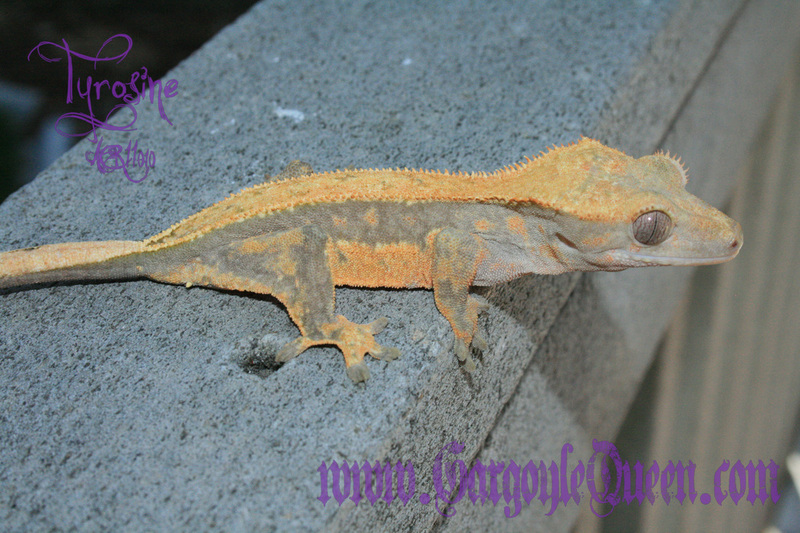 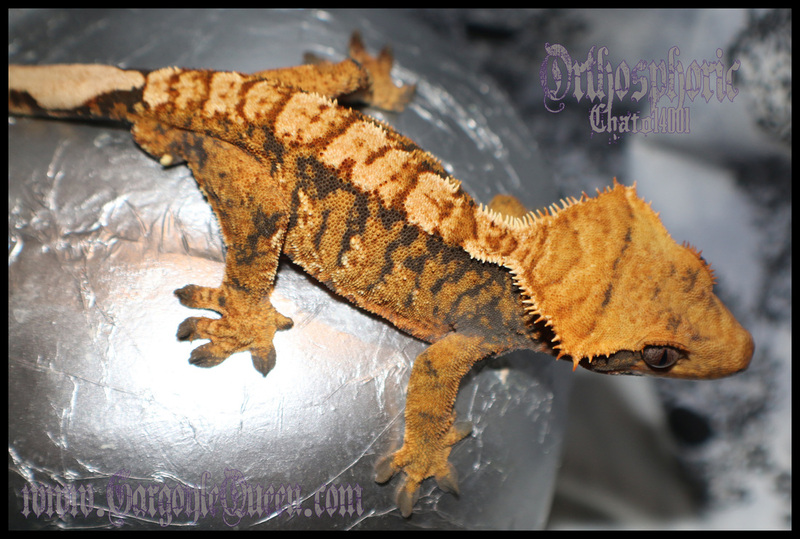 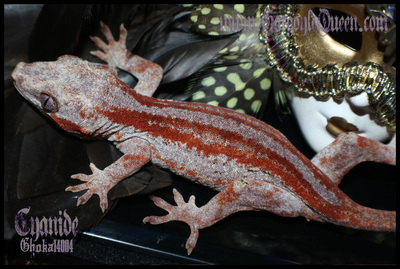 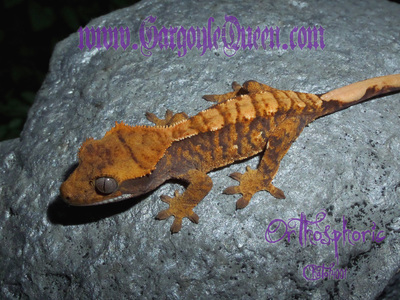 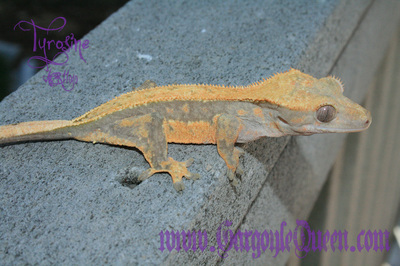 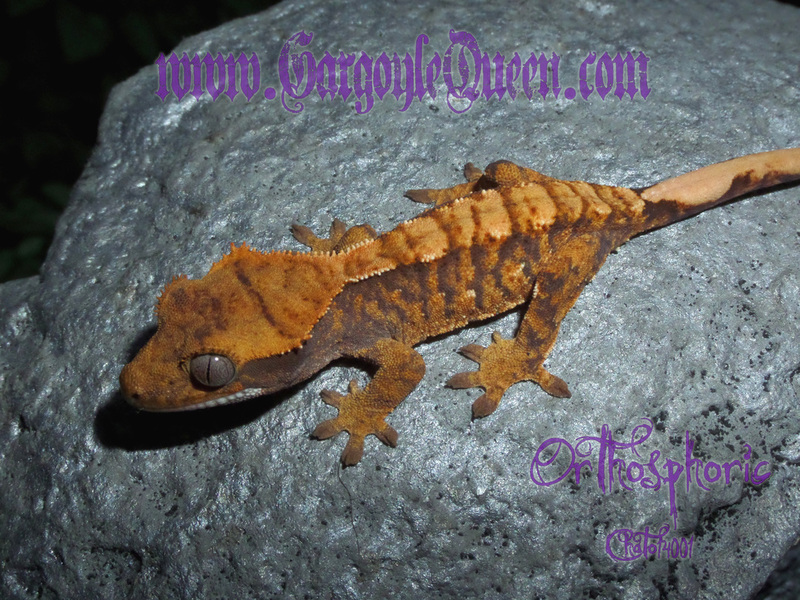 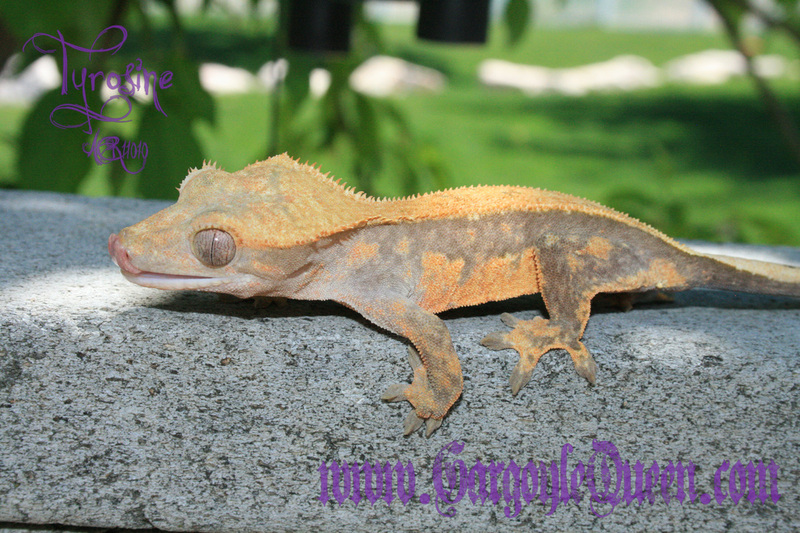 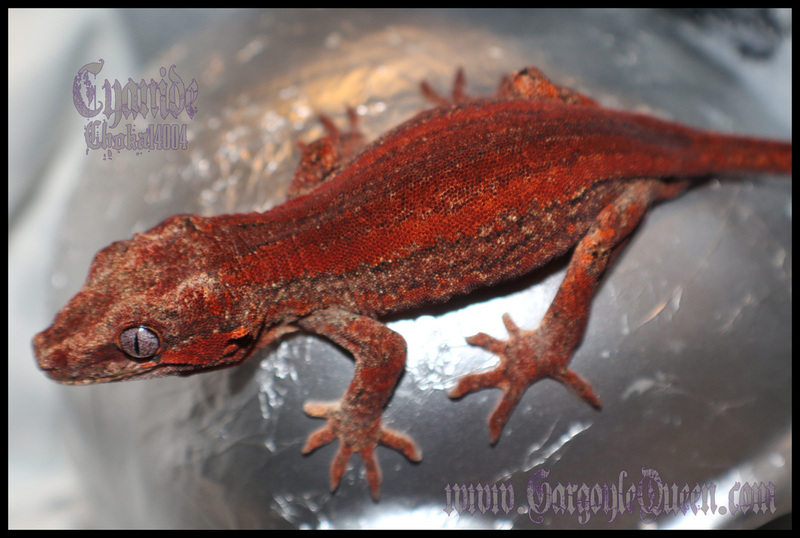 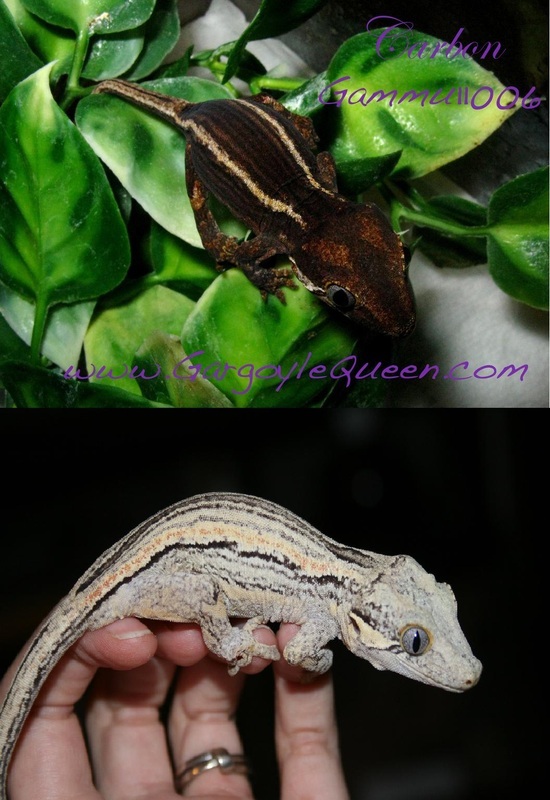 **Update (1.20.15): The color progression is better seen on my holdback pages (gargoyles, cresteds, chewies) for pictures of all my GQR geckos as they grow. 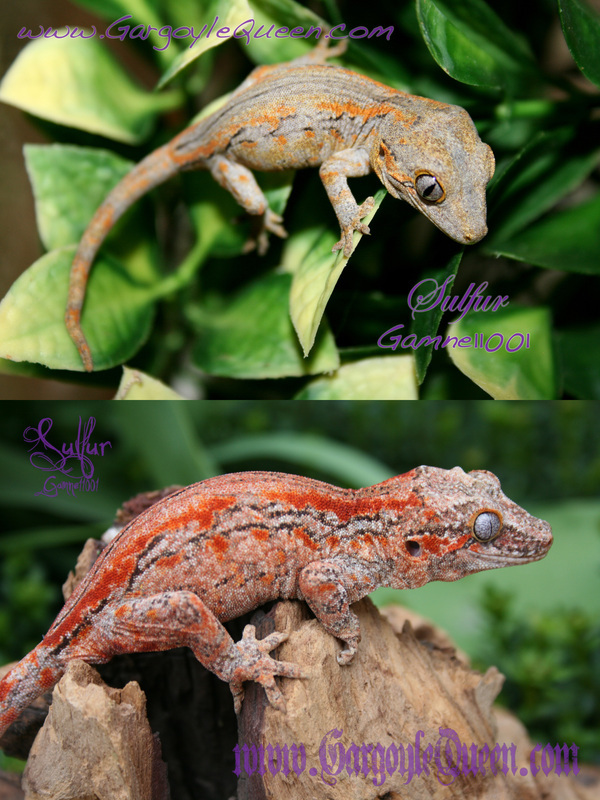 Dates on the bottom of the pictures give you a better idea of the timeline. 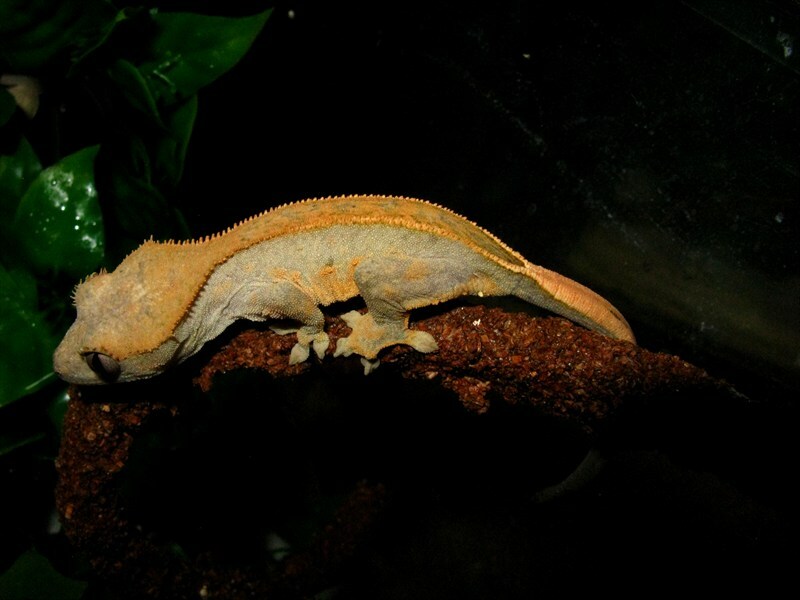 All 2011 and 2012 hatches are now adults with 2013 hatches being sub-adults, so there are a number of animals to observe their color progressions in more detail. 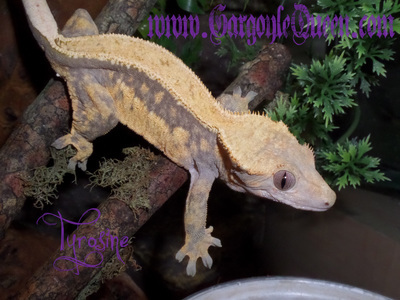 Here we have one of my highest color GQR gargoyle productions, Cyanide. 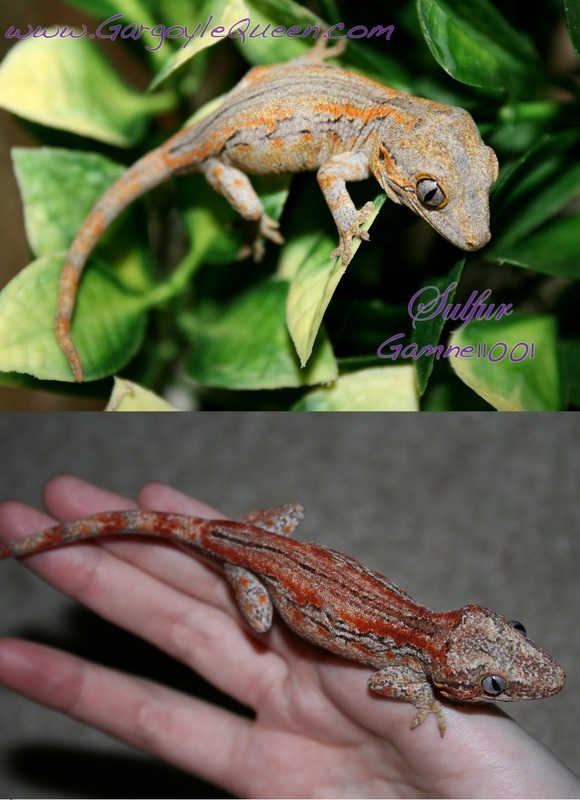 The first two pics are around 5 weeks old, which is generally the minimum age/size I will list a gecko. 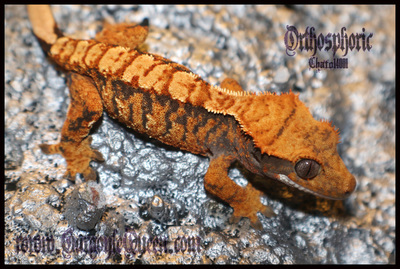 This is when colors generally start showing potential. 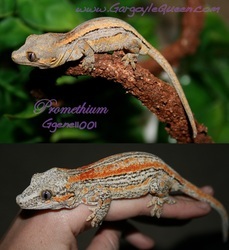 The next two are around 8 months old, showing the stripe coloration direction change from neonate. 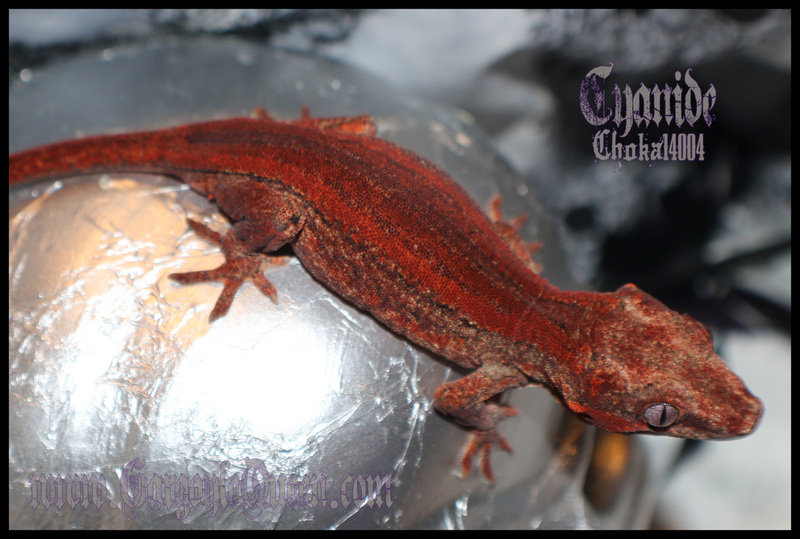 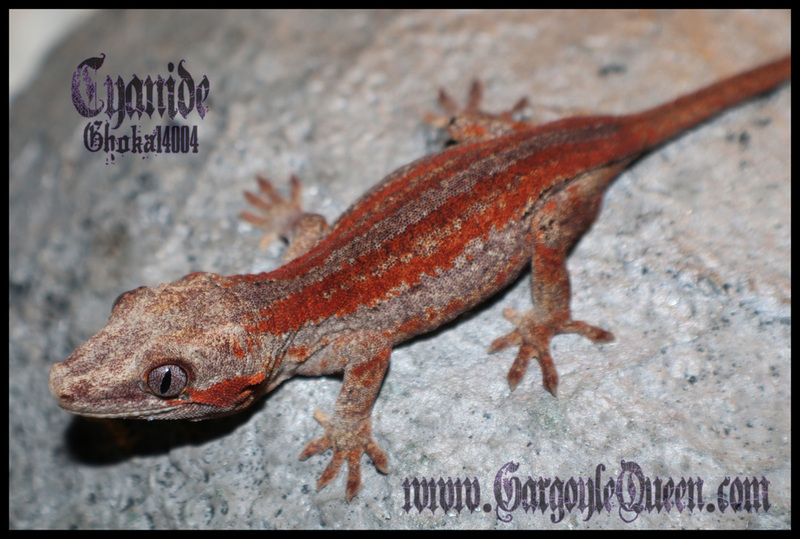 The next (fifth pic) shows the gecko fired down at just over a year old, and the last two pics are around that time as well showing the fired up red background that Cyanide has developed. Here we have one of my favorite GQR crested productions, Orthosphoric. This is a great example of head/crest development from a neonate (first two pics) to a juvenile (next two pics) to an adult (last two pics). Tyrosine's development gives you a good example of how much a gecko can change from neonate to adult. In the first picture, the gecko is around 4-6 weeks old. 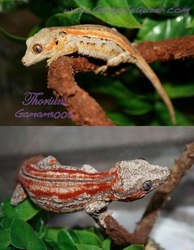 The second two pictures are around 8 months old and the last three are as an adult. 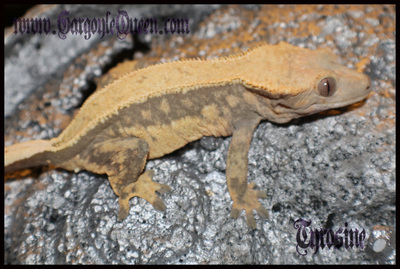 This gecko has come a long ways from the first, and it is so interesting to see that extreme change. I expect her babies to probably do something similar. 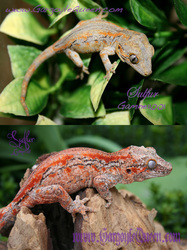 Here are some older image collaborations showing the changes some of these geckos go through in color development.